Mac OS X has been missing an app that allows embedding audio annotations in a PDF, though this feature is commonly available in PDF editing apps on iOS and Android. Now, PDF Expert has been released for OS X and one of the "hidden" features is the ability to add audio comments. Just right click anywhere on a page and add a "Sound" annotation! Conveniently, you can also pause and resume while recording. I love the ability to take handwritten notes and simultaneously embed audio recordings, and I currently use ezPDF Reader on the Galaxy Note to achieve this. I am looking forward to the same workflow on the iPad Pro, and PDF Expert on iOS already implements this feature well. What was missing on the iPad was a decent stylus, and the new Apple Pencil should fix that. Besides, the Continuity feature for working on the PDF between iOS and Mac is a lot more convenient than exporting the PDF from ezPDF Reader to review on the Mac. 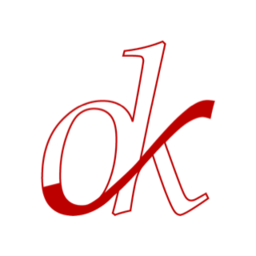 Over the years, I've created lots of detailed notes in the excellent Squid (Papyrus) app for the Galaxy Note. These notes get exported automatically as PDFs in Dropbox. Now, using PDF Expert on OS X, I can add audio recordings to pages to summarize the content in these PDFs. 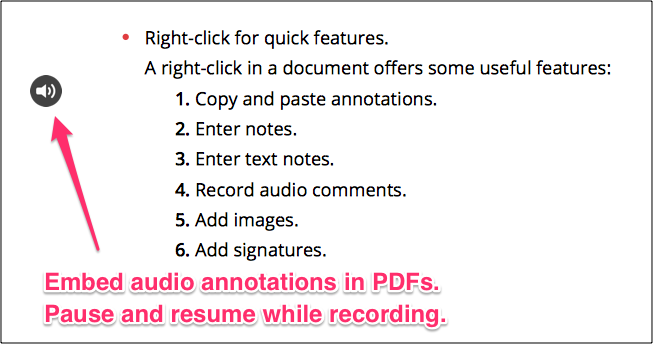 And in the app, I can use the Annotations Summary sidebar to quickly review all the audio annotations in any PDF. When buying direct, you get a license to install PDF Expert on up to 3 Macs. When buying from the Mac App Store, you get a more generous license which allows you to install on all your Macs that are linked to the same store account. The Continuity and Handoff features that allow you to continue working on a PDF as you switch between Mac and iOS are only available in the version of the app sold on the Mac App Store. To know more about how to use ezPDF Reader and Squid (Papyrus) app on the Galaxy Note, see my book "Brilliant S-pen Apps for Your Galaxy Note" available on the Kindle Store, Google Play Books Store, iBooks Store, Smashwords, and others.